This article assumes two things. Well maybe three. 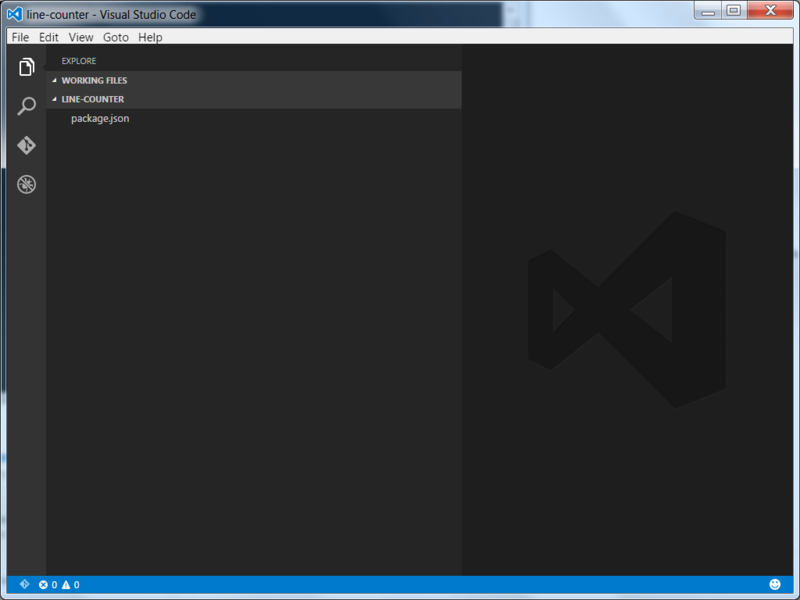 You have Visual Studio Code installed. You can find it here. As an exercise, let's imagine we are building a small node module called linecount that tallies up the lines in a file. 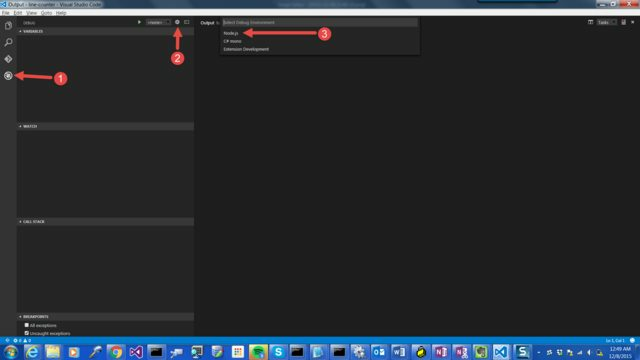 Let's get started creating a node project. I'm a TDD guy, so I like to make sure my code doesn't work before I get to far ahead of myself. So let's execute this and confirm it's broken, using node . to execute the current directory. So we have our "red light." Let's edit this in Code to add a little functionality. The command is code .. No, I don't think the one letter change from node to code is a coincidence. We get no information about either the require statement or the fs class. We can fix that by installing TypeScript declaration files for node. First, we need to install tsd a utility for downloading ypeScript. Now we can download the definition files with this command from a command prompt. Okay, so far so good. But now we want to be able to put a breakpoint in helper.js. 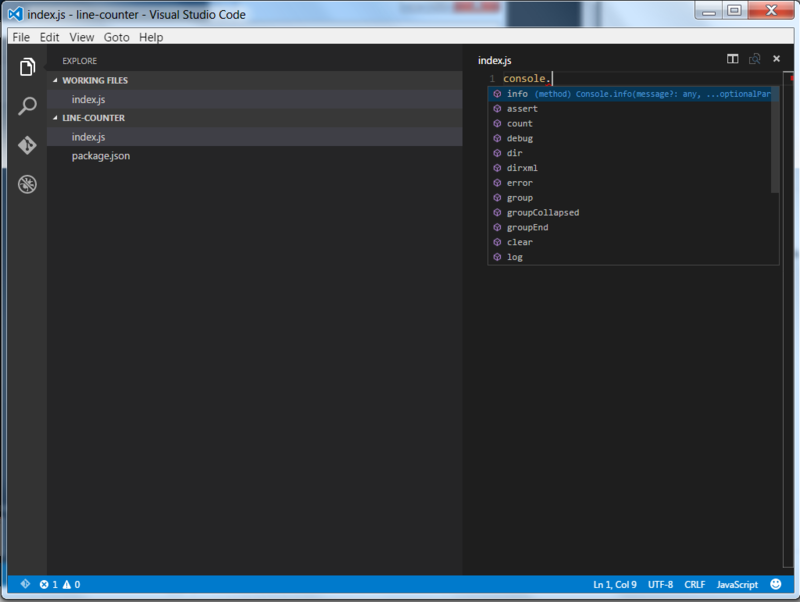 This is easily set, but clicking in the left margin as you would in Visual Studio. 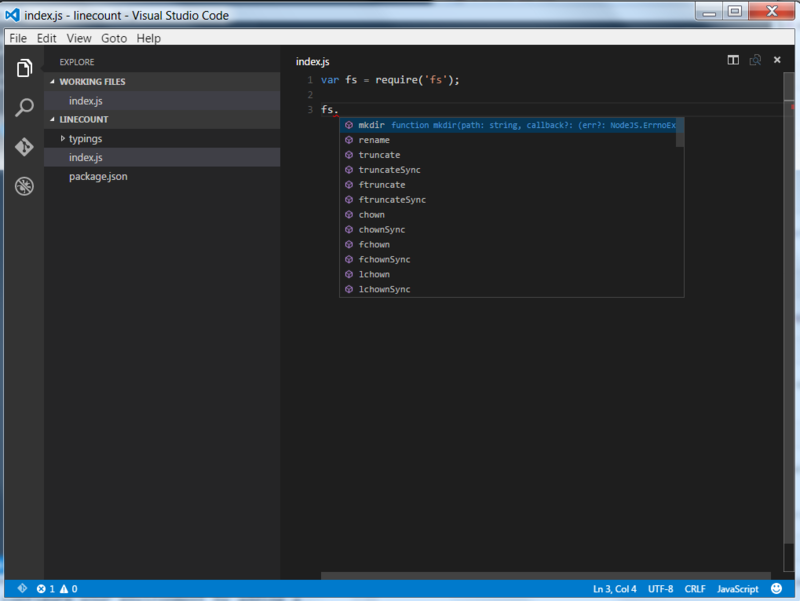 To fire off the debugger, however, takes a little bit of one-time (per project) configuration. If you now launch the debugger, you will hit your breakpoint, with all the usual features of a debugger (variables, watches, and the call stack). 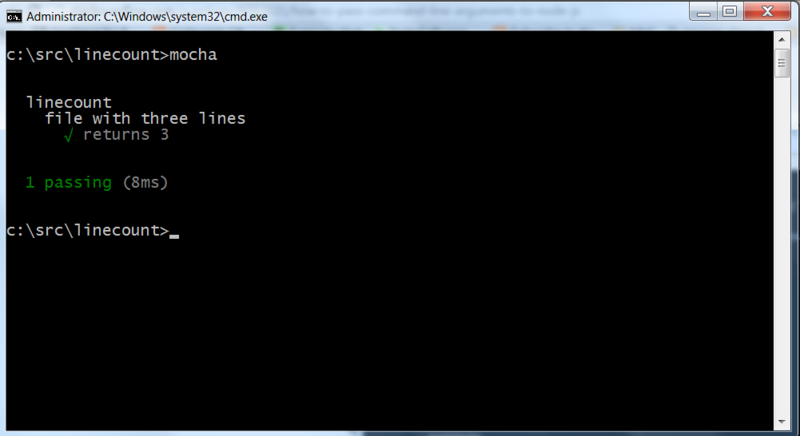 Okay, so let's add some tests, using Mocha.js, a widely used test framework for Node development. Now lets add a file test.js. Mocha tests are written in a nested call syntax, with a describe function for the unit under test, a context clause, and an it clause to indicate each test. If we need to debug these, we can call mocha with a debug option, which will break on the first line. 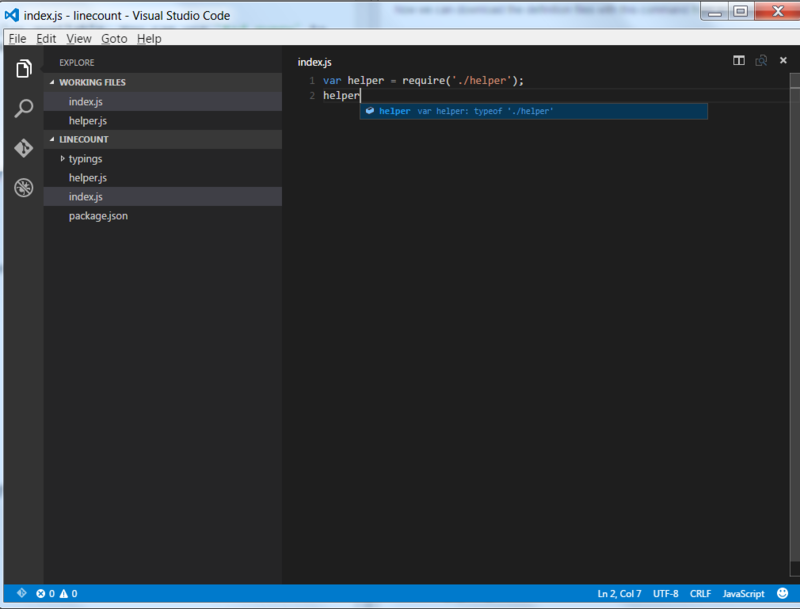 Then we can use the "Attach" option of the debugger to continue through the program. 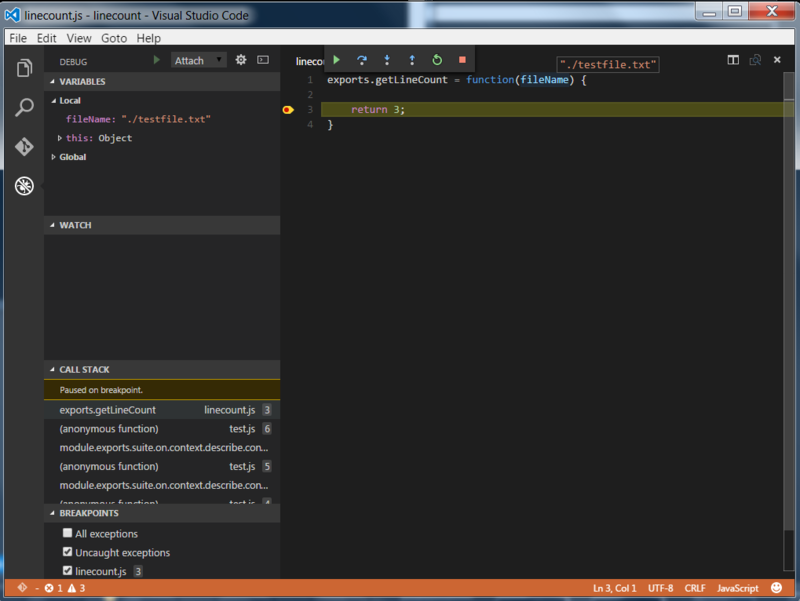 You can see this is a full debugger experience, with watches, locals, and a call stack. Have you setup vs code to do unit test against ts files.. for example Calculatortest.ts, then configure vs code to compile that file to a js file so mocha can execute the test. I am having all kinds of difficulty doing this.